The US Coast Guard has discovered a 4,100-pound tar mat under the sand around Louisiana’s southernmost port. It is believed to be left over from the 2010 BP Deepwater Horizon oil spill. The tar mat was uncovered while the Gulf Coast Incident Management team combed the coast following Tropical Storm Karen, which developed in southern portions of the Gulf of Mexico in early October. According to a team spokesman, the mass on Fourchon Beach is 80 to 90 percent sand, shell, and water and 10 to 20 percent oil. Petty Officer 1st Class Michael Anderson said the exact size of the tar mat has not been determined, though he does not expect it to be as large as one found near the Isle of Grand Terre in June, which weighed in at 40,000 pounds. Following the discovery at Grand Terre, BP estimated in June that over 2.7 million pounds of tar from the spill had been collected in 2013 at that point. Cleanup efforts have begun at Fourchon, as tar balls have been collected on other parts of the state’s coast following the relatively weak Tropical Storm Karen. The discovery of more tar on the coast comes as the second phase of the civil trial against BP continues in New Orleans. 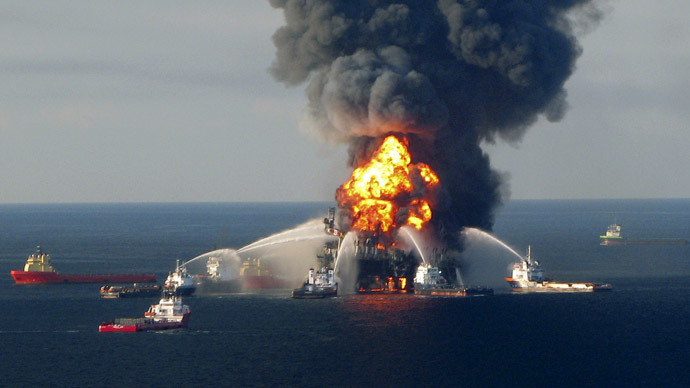 The trial is assessing the oil company’s level of negligence following the Deepwater Horizon rig explosion in April 2010. 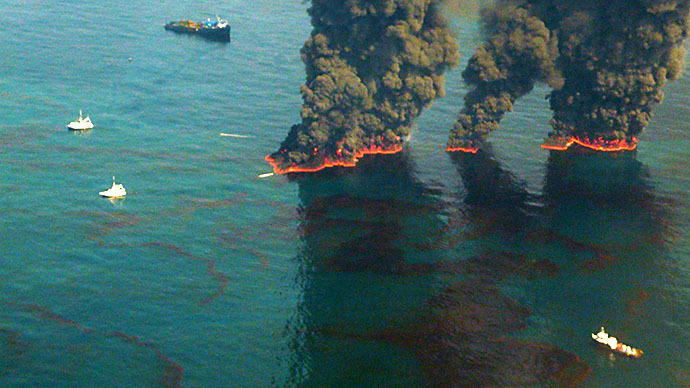 This phase of the trial aims to determine whether actions taken by BP following the explosion and collapse of rig - which killed 11 workers and eventually became one of the worst environmental disasters in US history - were sufficient, and to discover just how much oil bled from the Macondo well out into the Gulf. Various engineers and oil flow experts were called as witnesses by BP early this week. They have been grilled by government attorneys about various methods used and assessments made to determine the leak’s severity. Findings in the trial will inform US District Judge Carl Barbier’s determinations on how much BP will be fined in relation to the Clean Water Act and other federal laws appropriate to the spill’s damage. Should Barbier find BP and its contractors simply “negligent” in the spill aftermath, the Clean Water Act allows for up to $1,100 for each barrel of oil leaked into the ocean. 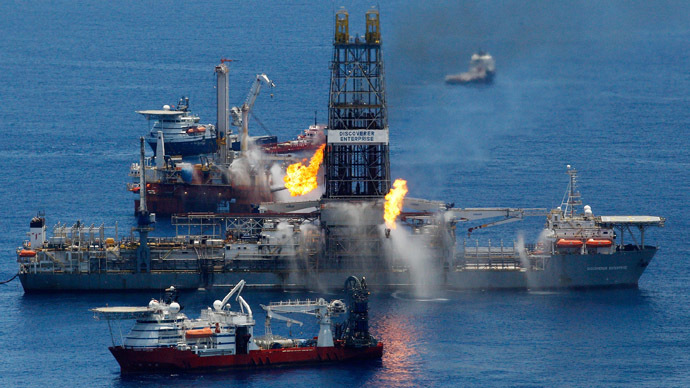 Should he determine “gross negligence” or “willful misconduct,” BP could face maximum fines of $4,300 per barrel of oil. BP says that 2.45 million barrels of oil were released into the Gulf - which would result in maximum fines of $2.7 billion for negligence and $10.5 billion for gross negligence. US Justice Department lawyers say that 4.2 million barrels leaked out. Their estimates come out to fines of $4.6 billion for negligence and $18 billion for gross negligence. Barbier will consider all efforts taken to stem the flow of oil, as well as the impact of any fines on the businesses involved. In separate New Orleans US District Court proceedings, a former Halliburton cementing technology director pleaded guilty Tuesday to destroying evidence following the Deepwater Horizon explosion. Halliburton was BP’s cement contractor on the rig. Prosecutors say Anthony Badalamenti told two Halliburton employees to erase data during a post-spill review of the company’s cement job on the Macondo well. He is the first individual charged with crimes associated with the spill and its aftermath to plead guilty. 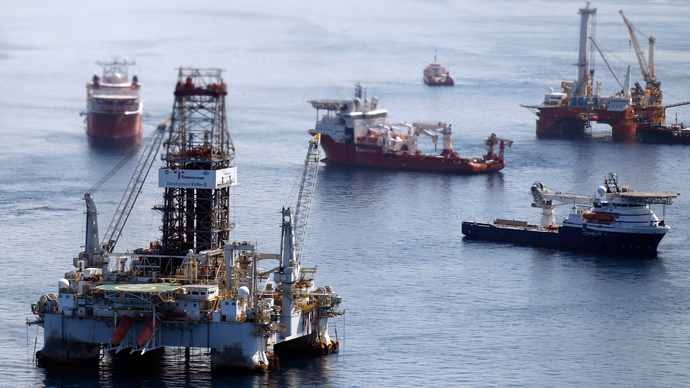 BP well site managers face manslaughter charges for the deaths of workers on the rig. Prosecutors say they are responsible for a botched safety test and negligence on other safety hazards. That trial is set for 2014. Meanwhile, former BP executive David Rainey is charged with withholding information from Congress on how much oil was spewing from the site in 2010. A former BP engineer faces charges related to destroyed evidence associated with the company’s spill response.